Coral reefs only occupy 0.1% of the area of the ocean but they support 25% of all marine species on the planet. In fact, the variety of life associated with coral reefs rivals that of the tropical forests of the Amazon or New Guinea. Hundreds of millions of people rely on coral reefs for essential nutrition, livelihoods, protection from life-threatening storms and crucial economic opportunity. About half the world’s shallow water coral reefs are already gone, and without urgent action to address climate change, pollution, overfishing and destructive coastal development, these life-sustaining natural wonders could all but disappear. What are the main threats to coral reefs? 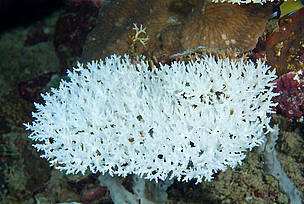 Climate change: Corals cannot survive if the water temperature is too high. Climate change has already led to sharply increased rates of coral bleaching – killing vast areas of reef - and this is predicted to increase in frequency and severity in the coming decades. Scientists estimate that at current rates of ocean warming and reef decline, most of the world’s coral reefs could be lost in the next few decades. Overfishing: This affects the ecological balance of coral reef communities, warping the food chain and causing effects far beyond the directly overfished population. Unsustainable coastal development: Tourist resorts and other coastal infrastructure have been built directly on top of reefs or close enough to them to cause significant damage. The impacts of coastal development can vary widely, and cumulatively can put coral reef systems under considerable additional pressure. 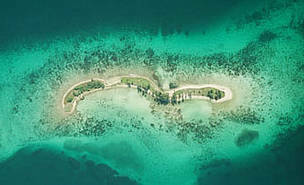 Some resorts and coastal developments empty their sewage or other wastes directly into water surrounding coral reefs. Pollution: Urban and industrial waste, plastics, sewage, agrochemicals, and oil pollution are poisoning reefs. These toxins are dumped directly into the ocean or carried by river systems from sources upstream. Some pollutants, such as sewage and runoff from farming, increase the level of nitrogen in seawater, causing an overgrowth of algae. Careless tourism: Careless boating, diving, snorkeling, and fishing happens around the world, with people touching reefs, stirring up sediment, collecting coral, and dropping anchors on reefs. Can coral survive a bleaching event? 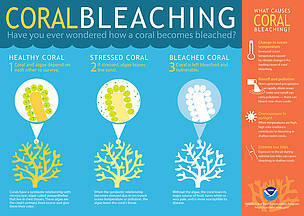 If the stress-caused bleaching is not severe, coral have been known to recover. If the algae loss is prolonged and the stress continues, coral eventually dies. Bleached Acropora coral head, Papua New Guinea. WWF works to protect areas rich in coral reefs and where coastal communities depend on reefs for their wellbeing. WWF works on coral reefs all over the world and also on specific initiatives. A major initiative is based on global scientific analysis which has revealed that some coral reefs are less vulnerable to climate change impacts than others. Interlinked by ocean currents which transport coral larvae and fish, refuges of coral reef resilience could - if local pressures on them are reduced - enable many of the world’s coral reefs to regenerate over time when the climate stabilizes. The Coral Reef Rescue Initiative, a major partnership with other leading coral reef conservation and development organisations, is identifying the most resilient coral reefs (‘regeneration’ reefs) and dependent communities. By working with local communities and major partners to protect the most climate change-resilient reefs from the impacts of overfishing, pollution and unsustainable development, we can also increase the chances that the larvae they produce can benefit nearby reefs, enhancing their recovery. 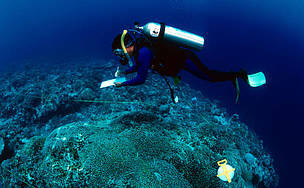 Coral Reef Rescue comprises the following partners so far: Blue Ventures, Care, Rare, The University of Queensland (Global Change Institute) and WCS (Wildlife Conservation Society). Coral Reef Rescue will focus on building the resilience of coral reefs and the communities dependent on them by securing reefs in 7 main countries (Fiji, Solomon Islands, Indonesia, Philippines, Madagascar, Tanzania and Kenya) which account for 70% of the regeneration capacity of coral reefs globally. These reefs will stand a better chance of helping other reefs to regenerate. In this way, Coral Reef Rescue will complement and boost reef conservation work around the world. For more information on the analyses of the important roles coral reefs play in Melanesia and the Western Indian Ocean, please see reports at: ocean.panda.org. Where can I find coral reefs? 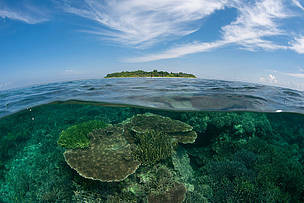 WWF priority regions with extensive coral reefs include the Coral Triangle and the Mesoamerican Reef. Vote Earth by taking part in Earth Hour! As the biggest threat to coral reefs worldwide is climate change, we need to send a message to our leaders that warming must be limited to under 2 degrees Celsius. Although scientists have only just begun to understand how reefs can contribute to medicine, already coral reef organisms are being used in treatments for diseases like cancer and HIV. The zooxanthellae algae which live symbiotically inside the coral polyp give the corals their amazing colours. Coral reefs can be found around the world and even in some places that you would not expect. 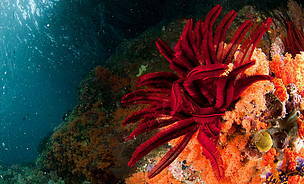 In recent years scientists have discovered cold water coral reefs off the coast of Norway and deep underwater in the Mediterranean Sea.